Automation of software testing process plays an important role in improving software quality, shortening period of development and reducing development cost. However, most existing testing automation methods tend to rely on various kinds of limited formal models, and make a contrived separation between software testing and other phases in software life cycle. This separation limits wide spread application of these methods. On the other hand, UML, as a unified modeling language that has been widely employed to describe and model software and software process, can provide good basis for testing automation to close the separation. 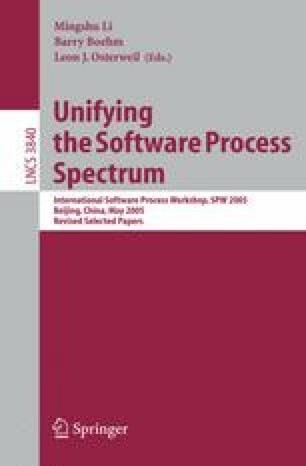 In this paper we introduce an approach that transforms design models represented by UML to testing models represented by UTP (UML Testing Profile), and further more transforms the testing models to TTCN-3 (Test and Test Control Notation) test cases that can be executed on a TTCN-3 execution engine, according to TTCN-3 mapping interface defined in UTP. This approach integrates testing phase with other phases tightly together, and leads to automation or semi-automation of software testing process. Finally, the paper demonstrates the effectiveness of the proposed approach by deriving TTCN-3 test cases for a typical C/S software system.